Not to complain about the skiing today but by this year’s standards it was nothing to write home about. 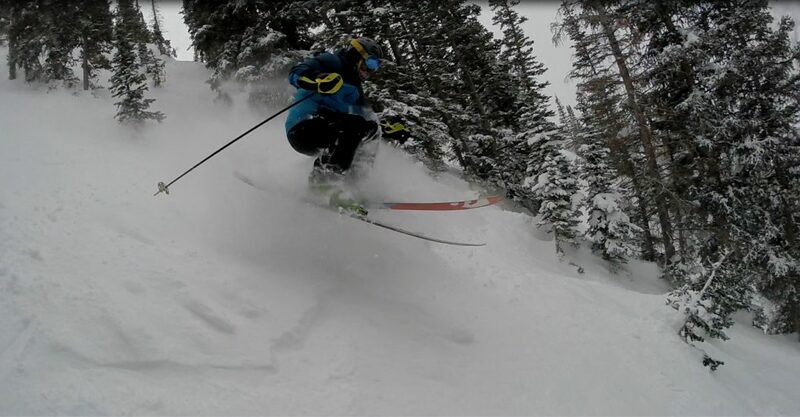 The storm totals were up there with Alta recording 14″ of fresh but the winds really put a damper on the snow quality. In spots you could find turns that felt like they were waist deep but those turns were followed by either a chunky layer or some shallow cream. We found our best turns in Eagle’s Nest where there was a bit of wind protection and even Thirds was skiing great before noon. No gates opened today besides Catherine’s so as long as we don’t get any more 100 mph winds tonight the skiing in Backside and the Shoulder should be pretty rad tomorrow. Get it while you can. No major storms are forecasted to impact our area anytime during the next week.